Turn your laptop upside-down, for my laptop it was just directly straight from the lights, you will see “Made in China”, Write down the Model_Name. Mine is 15 N5040. Next, just below that code you will see Service Tag (S/N), also write that one down. 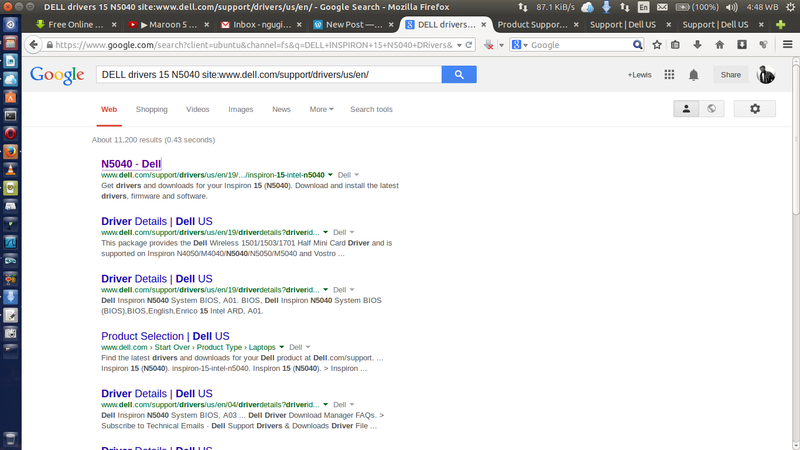 Go to Google and type “Dell Drivers Model_Name Service_Tag site:www.dell.com/support/drivers/us/en/” The site is where Dell Drivers are located. Click on the first link that appears on your results page. 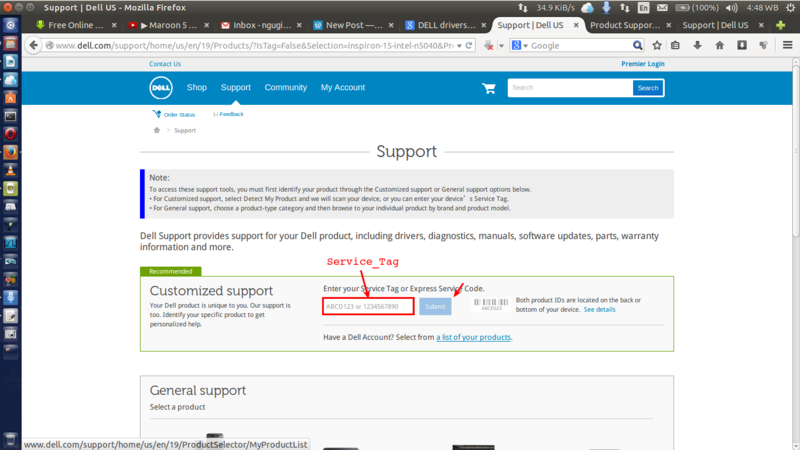 Copy paste the Service Tag into the area indicated below the Submit. Now scroll down and on the Operating System, click on the drop-down menu and choose the one you have on your PC. Wait 20seconds, depending on the INTERNET speed for the page to refresh, you will notice a slight change. Whatever driver your missing, you will get it below the under different categories: Application, Audio, BIOS, etc. Click on the category or just click on Show All to view the whole list. 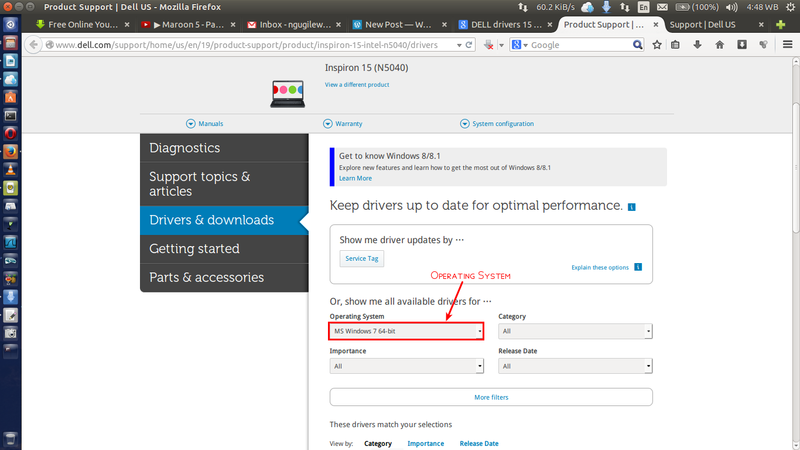 If you know what driver you want, click Download on it. Chill for it to download. 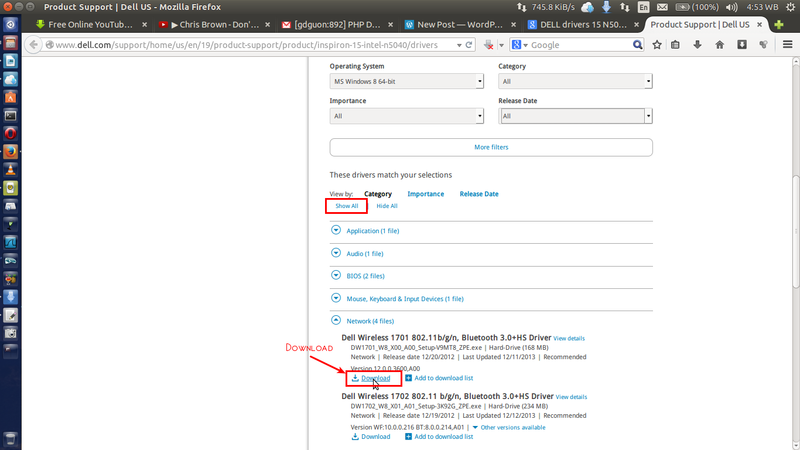 After that, double-click on the downloaded setup and follow instructions ’till the end.